Introducing the Storyblocks Audio Library! Track down the best music and effects for every project with access to thousands of audio clips! Storyblocks is a stock media website that offers subscriptions to large libraries of stock video, image and audio assets. Subscribers to Storyblocks audio library get access to a collection of over 100,000 licensed songs, sound effects, and loops. Subscribers get access to 110,000+ audio clips in their member library at no additional cost. Use the Stop button to stop playing the current track. Click the buttons below to get the vinyl spinning. Interested? Subscribe and get access to 110,000+ other tracks! Note: If necessary, click the magnifier icons to see the screenshots. 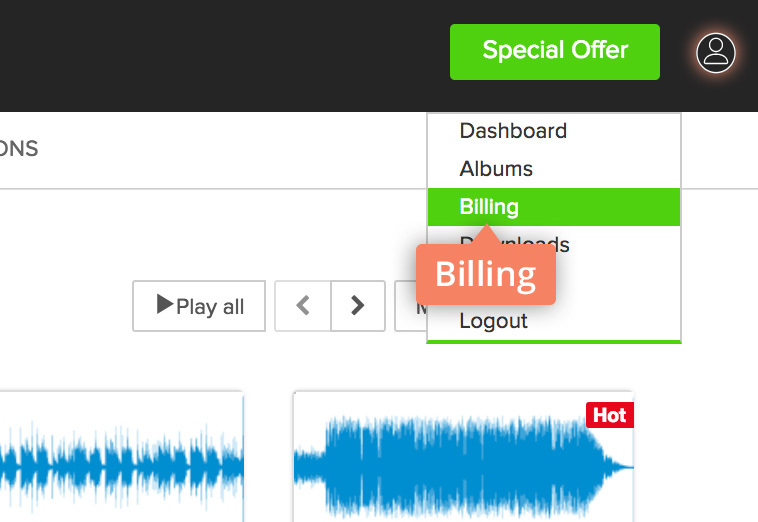 Click the personal account icon in the upper right corner and select Billing. Go to the Billing & Subscription section. Click the link shown on the screenshot. How do I download audio? Note: If necessary, click the magnifier icon to see the screenshot. To download the desired track, hover the cursor over it and select MP3 or WAV by clicking the icon. Then, click the link shown on the screenshot. What formats are the audio files available in? Storyblocks audio files are available in MP3 and WAV. Do I have to pay a royalty or buy a license to use downloaded content in my projects? No, there’s nothing to pay after downloading. 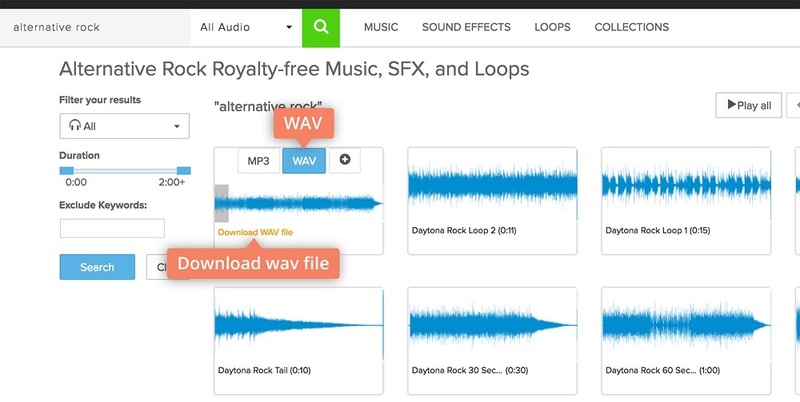 All the tracks in the Storyblocks audio library are royalty-free, so go ahead and use them however you want without worrying about fees. Am I allowed to use Storyblocks audio content in commercial projects? Yes. The service policy permits you to use the downloaded content for any type of project.